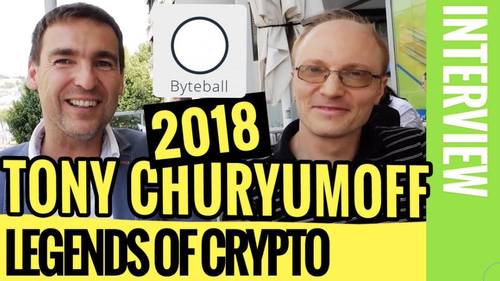 Extended interview of Byteball founder and lead developer Tony Churyumoff answering some tough questions! Wow, great video which presents lots of valuable information on current and future developmental plans of Byteball project. After watching the video, my love for Tonych become bigger a little bit. Turning on auto captions helps a lot fortunately. Now I think byteball name make sense with the sport betting app. Yesterday I made 6 baseball betting, it works good. Now I think I kind of understand Tony is not exchange friendly, may he wants more people to people trade, people to people betting, and stay away from centralice exchages. It would be a good to publish the daily volume of sport betting. I don't think the volumes are too high. The real opportunity to increase volumes would have been at the Football World Cup. But even then the numbers weren't substantial. There are advantages to using Byteball to bet, but I guess the trend just hasn't caught on yet. We had several days with more than 200GB on contracts, it's quite honorable when you compare to Augur that has no more than 200 ETH as daily volume. Really bad quality of sound on interview, can't understand what Tony saying. Would be great to read this. Where have you been the last few weeks? tonych- how about reward for holding of your Gbytes? We need a real marketing team, make it competitive. And let us vote for the best marketing work DONE! Lord Tony, I know you may busy coding, that is OK.
#whenmoon vs #whenearth - subscribe to the Byteball email newsletter to find out. the old airdrops to bb only holders worked a bit like pos. Stopping them destroyed confidence in the word of the devs. You want investors with some clout who bring in others of considerable means. The market is now based on speculators only ... chasing adoption soley right now at the expense of speculators is a losing battle. The distribution model from the start pretty much killed it anyway as I said from the start. Giving huge bulks of your minting to devs from other icos was never going to be the best move really. Will take time to rectify but eventually if the plans with decentralising more, higher tps, get it all distributed or burned......it will make a come back if it clearly is superior to other projects in key areas. At least the dev has proven skill unlike 99% of other projects so that counts for something eventually I'm sure.